What do people do all day? 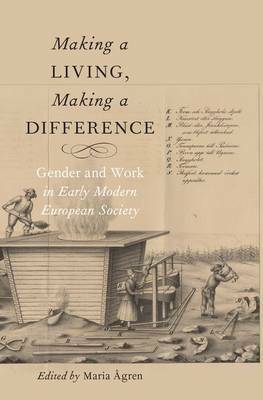 What did women and men do to make a living in early modern Europe, and what did their work mean? As this book shows, the meanings depended both on the worker and on the context. With an innovative analytic method that is yoked to a specially-built database of source materials, this book revises many received opinions about the history of gender and work in Europe. The applied verb-oriented method finds the 'work verbs' that appear incidentally in a wide variety of early modern sources and then analyzes the context in which they appear. By tying information technologies and computer-assisted analysis to the analytic powers--both quantitative and qualitative--of professional historians, the method gets much closer to a participatory observation of the micro-patterns of early modern life than was once believed possible. This book directly addresses a number of broad problems often debated by historians of gender and early modern Europe. First, it discusses the problem of assessing more accurately the incidence, character and division of work. Second, it analyzes the configurations of work and human difference. Third, it deals with the extent to which work practices created notions of difference--gender difference but also other forms of difference--and, conversely, to what extent work practices contributed to notions of sameness and gender convergence. Finally, it studies the impact of processes of change. Drawing on sources from Sweden, the authors show the importance of multiple employment, the openness of early modern households, the significance of marriage and marital status, the gendered nature of specific tasks, and the ways in which state formation and commercialization were entangled in people's everyday lives.